It’s definitely Harry Potter copyright-free Magic Festival season here in the mid-Atlantic, with the Queen City Mischief and Magic Festival hereafter ‘QCMM’) in Staunton, VA on Sept. 28-30, the Generic Magic Festival (hereafter ‘GMF’) in Roanoke, VA on Oct. 6th, The 7th Annual Harry Potter Conference at Chestnut Hill College, PA on Oct. 19-20 (and the associated Wands and Wizards Festival in the town of Chestnut Hill) and finally Scottsville, VA’s Wizarding Fest On October 27. All of these events, of course, began as bona fide Harry Potter Festivals, and all, except the academic conference, which has a Shield Charm based on its educational nature, changed their name after receiving cease-and-desist Howlers from Warner Brothers. To my delight, my own institution decided to get a bit more into the act for the QCMM this year, sponsoring a reptile show on the main downtown stage and “Hufflepuff Village” (based in part on our shared yellow school/house color) on the main campus, as well as the academic presentations at “Beauxbatons Academy” that I coordinated. After two long days during that weekend, I trekked down to Roanoke yesterday to present a talk, be on a panel and record a podcast at their festival. This flurry of activity makes my missing the Chestnut Hill conference for the first time since 2014 (thanks to a conflict with my 30th college reunion) a little less depressing. I have had a great time giving and hearing presentations over the last 10 days, and I want to summarize some highlights here. QCMM. 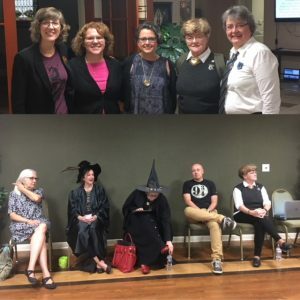 On a personal level, the most meaning event was the first night, when Mary Baldwin hosted a “Magic of Mental Health” evening, with a workshop by the Executive Director of Transfiguring Adoption, my own presentation on “Muggle Disorders in the Wizarding World” and, of course, snacks and butterbeer. My talk was a variation of the first scholarly talk I ever gave on Harry Potter (at James Madison University, way back in 2010). 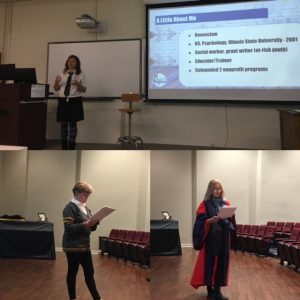 But, after hearing Margie Fink’s amazing presentation on the resources her non has developed, using books and movies (including our own beloved Harry Potter series) to help adoptive and foster parents understand and bond with traumatized children, my academic presentation took on a different meaning. Margie’s organization makes practical application of the type of research I do, looking at the effects of reading fiction on empathy and compassion. Having recently qualified as a board-certified behavior analyst, I felt, for the first time, as if I was speaking as a mental health professional, not purely as an ivory tower academic. Indeed, this was the first time the three facets of my professional personality: neuroscientist, BCBA and young adult literature researcher, came together into a coherent whole. I hope to develop a long-term professional relationship with this outstanding organization, whose goals are very much in line with JKR’s own Lumos. The next day, Mary Baldwin hosted Hufflepuff Village, with face-painting, runes, quill-writing activities and trivia competitions. 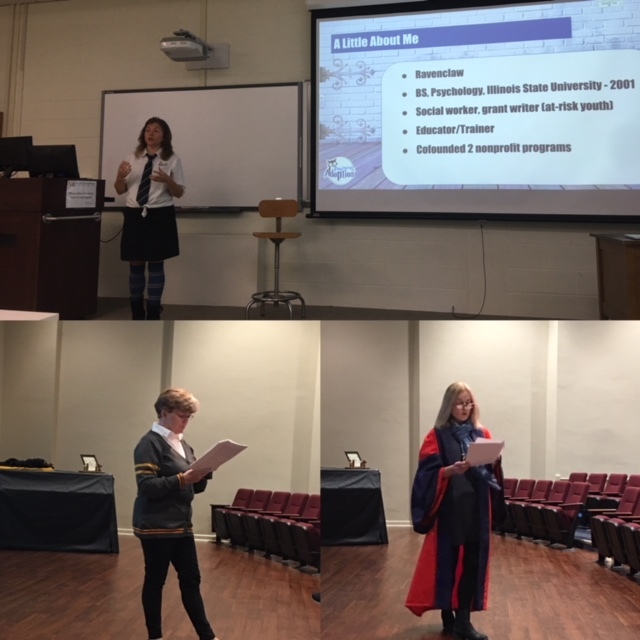 I was fortunate to have several professorial colleagues willing to present on topics like robes, adolescent romance, British school fiction and the significance of wands. In addition, I was delighted to have Dr. Lana Whited make the trip in from Ferrum to talk about the failed quest for immortality in Harry Potter. Afterwards, I was able to get out and enjoy a bit of the downtown festival myself, including some selfie stops, the fabulous feast and running into the former student who recruited me into this madness several years ago. GMF. 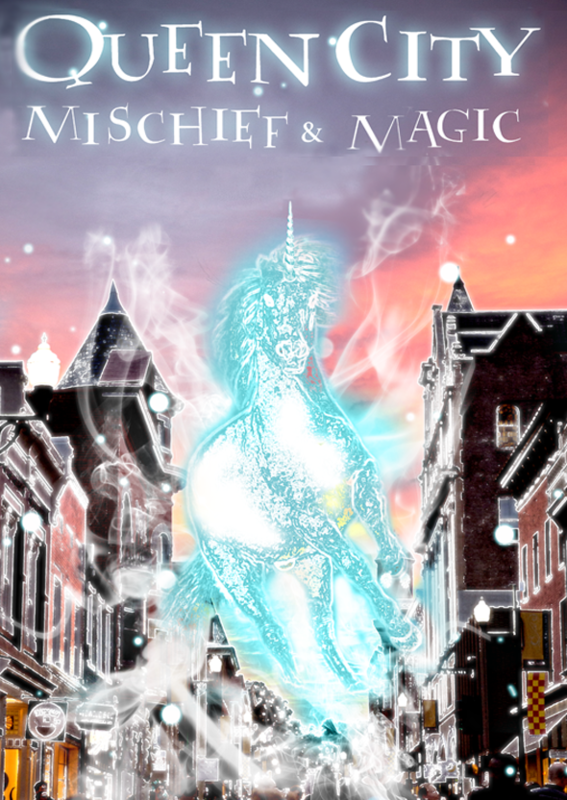 Lana and I have bartered our scholarly services for the last two years, with her coming to the QCMM, and me presenting as part of the academic programming she puts together as Roanoke’s Minister for Magical Education. This year, the GMF was fortunate to have the beautiful venue of Greene Memorial UMC. I arrived at 9 AM, just in time to hear the magical-sounding bell performance. Later, we were treated to a fabulous Frog Choir performance. The music was only one highly of a wonderful assembly of educational programming Lana had assembled. I was delighted to see old friends and fellow professors. Emily Strand, Elizabeth Baird Hardy and Katy McDaniel again, as well as finally getting to meet Dr. Amy Sturgis in person. Emily Strand continuing her Star Wars/Potter connections with a fascinating look at house elves and their resemblance to robots of speculative fiction (going all the way back to Frankenstein!) and particularly to the droids of Star Wars. 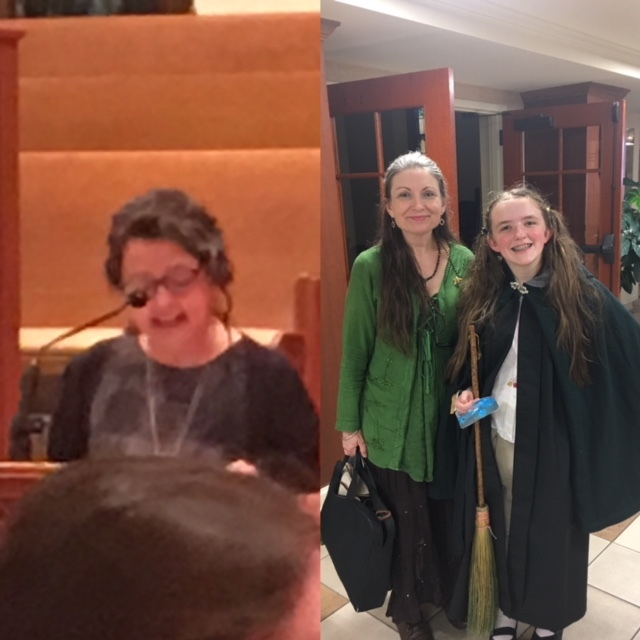 Emily was also on a “Fantasy Influences on Potter” panel with me and Kathleen Chamberlain, where she spoke about literary influences on JKR, referring attendees to Harry Potter’s Bookshelf and Literary Illusion in Harry Potter in the process. 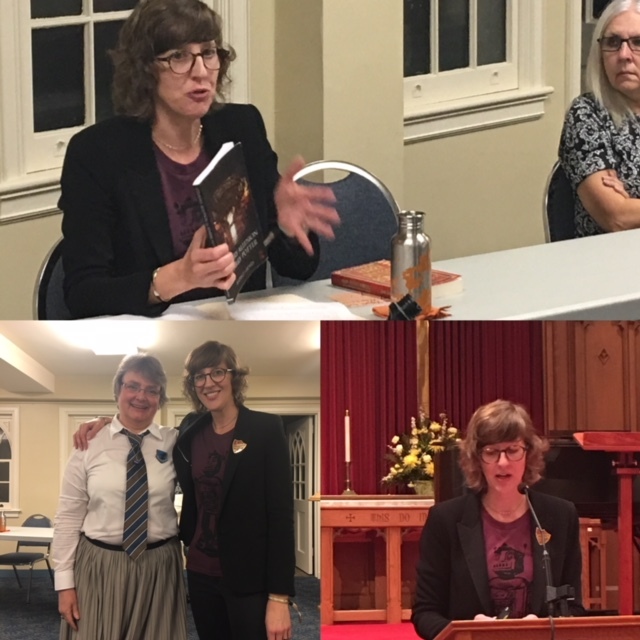 I got to speak about my beloved A Wrinkle in Time and address my hypothesis that Doctor Doolittle is a major inspiration for Newt Scamander, while Kathleen talked about E. Nesbit and Edward Eager. Amy Sturgis’s keynote on why we need magic, which made me add several new books to my reading list. It appears, from Amy’s talk and others’ at both QCMM and GMF that Adeyemi’s Children of Blood and Bone has the potential to be the Next Big Thing. She also recommended Kuang’s The Poppy War, Roanhorse’s The Lightning Trail and O’Guilin’s Grey Lands duology. A panel of professors who teach courses either specifically about Harry Potter or ones where Harry is a major part. Patrick McCauley’s presentation on the importance and of Harry and Hermione’s platonic friendship. While I missed Elizabeth’s Herbology classes, I was delighted to see her and her daughter. Finally, the evening concluded with Katy hosting me, Lana, Emily and Amy for a podcast recording of episode 17 of Reading, Writing, Rowling, which will be available to listeners in a couple of months. 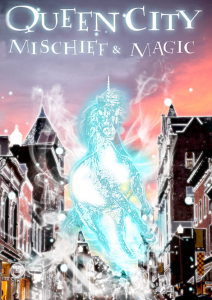 While it remains to be seen if these generic magic festivals are generic enough to satisfy the Death Eaters of Warner Brothers, the lack of the “Harry Potter” name clearly is not stopping dedicated fans from recreating a bit of the magical world for themselves and immersing themselves in the adventures of the Boy Who Lived. Great post, Louise! It was definitely a fun weekend (and very exhausting!). Thank you so much for returning to Roanoke this year. I had a terrific time again in the presence of an especially stellar magical faculty; it’s clear to me that we (the magical faculty) enjoy the educational events most! I agree that the Frog Choir was a terrific addition and commend Brandon Mock, music and arts director at Greene Memorial and one very talented young man. One of my favorite events this year was the late afternoon panel called “Growing Up With Harry Potter,” which featured one of my former students, two young members of our festival leadership team, and two now-adult children of faculty colleagues who were formative in my early thinking about the impact of the Harry Potters series on young people. One of those young people, Sarah Beach, described in moving detail how she has evolved from her early obsession with Hermione (and being Hermione!) 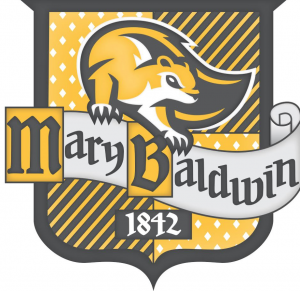 to her increasing identification with Hogwarts faculty, now that she is a middle school Language Arts teacher. Another, Taylor Holden, called the Harry Potter series “the fable of my youth.” From it, Taylor said, he learned “so much about right and wrong and about accepting the fact that being human means, essentially, being flawed.” A third, MaryBeth Fisher (a GMF leadership team member) said, “I cried from the first moment of the eighth film and all the way through it, because I realized my childhood was ending.” I was incredibly moved by these 20- and 30-somethings’ discussion of how the series has shaped their lives. John Granger: Your absence was definitely felt. Another?? 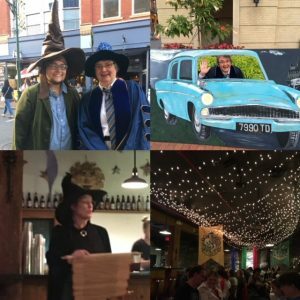 Someone is going to have to market some Pepper-up potion to Harry Potter enthusiasts in Virginia! I was sorry I missed that panel! Sounds like one that should be repeated over the years. Thank you so much, Louise, for a fantastic post! It was a great treat to meet you at last.